DO I NEED AN ACCESS CONTROL SYSTEM FOR MY BUSINESS? – XS Applied Technologies Inc.
DO I NEED AN ACCESS CONTROL SYSTEM FOR MY BUSINESS? Access control systems for businesses large and small, if you are concerned with their security, and they should be. But many choose to “hope for the best” instead of taking steps to secure their businesses. 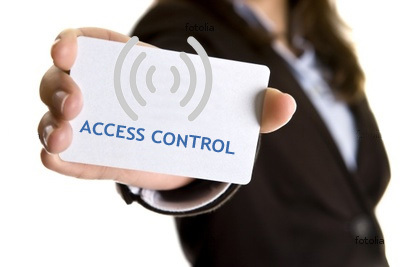 Access control systems allow your business to take control of your security with individualized solutions. Access control systems do exactly what their name implies; they control access to a building or office. Most often, the resource is the business’ building or specific rooms within the building. By installing an access control system, you will be able to monitor and restrict who has access to specific buildings or rooms. Access control systems come in a variety of types and sizes with custom solutions for every company. The most common are I.D. badges, with a radio frequency embedded for wireless entrance, smart phones and keypads with individual security codes. A professional access control system offers your business some great benefits. Every business has a need to keep their valuable assets and data inside while keeping threats to their security outside. An access control system helps businesses do just that in a simple user-friendly way. Combining it with a surveillance system monitoring each entry will allow the most secure situation possible. For more information on access control call us today at 732-272-0022. Posted in Access Control Systems, Security Cameras, Uncategorized Tagged access control systems, DO I NEED AN ACCESS CONTROL SYSTEM FOR MY BUSINESS? Network Monitoring Services, why do I need it? this is the first article i’ve read that explains what’s actually happening! there’s crazy stuff about beis shemesh all over facebook, but i didn’t get it until i read what you wrote. thanks! Have you ever considered publishing an e-book or guest authoring on other sites? I have a blog based upon on the same subjects you discuss and would love to have you share some stories/information. I know my visitors would enjoy your work. If you are even remotely interested, feel free to shoot me an e-mail.